Experiment 626 is ready to go trick or treating! 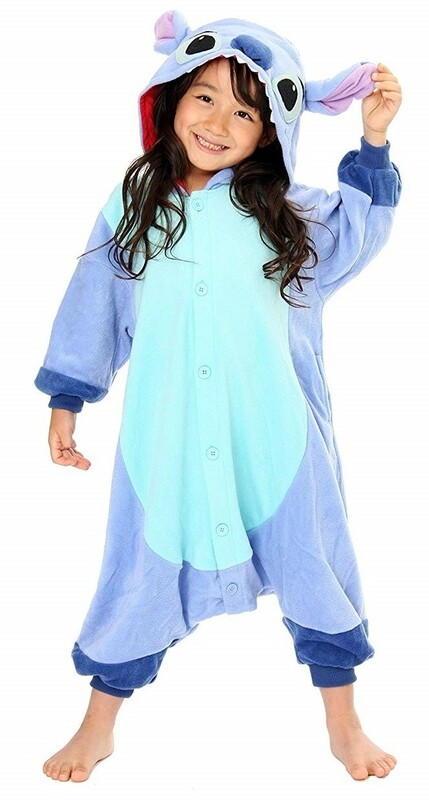 This officially licensed Stitch kigurumi from Sazac is perfect for any Lilo & Stitch fan. Soft, washable polyester fleece make it cozy and warm, either for pajamas or for a cold October night out. This kigurumi is available in two sizes, one to fit ages 2 to 5 and one to fit ages 5 to 9.